Ecno92: Windows 8 Media Center for FREE! 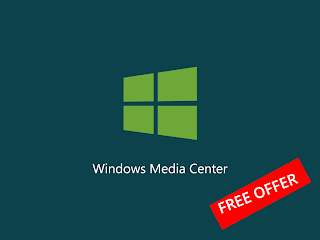 Windows 8 Media Center for FREE! At this moment I'm considering an upgrade to Windows 8. It will cost me €29.99 for Windows 8 Pro, but I'm mainly concerned about how well the upgrade process works. I've noticed that the Windows 8 Media Center Plugin is for a temporary time free available, so I already filled in the form. You can do this too. The only thing you have to do is to enter your email-adress on this web page in order to receive the product key within 24 hours.